Final Fantasy: Brave Exvius Heads West This Summer | Nerd Much? Square Enix has announced that its free-to-play mobile game Final Fantasy: Brave Exvius, developed by Brave Frontier studio Gumi, will head to the western world on iOS and Android this summer. Final Fantasy for mobile is hardly a new concept, with games such as Record Keeper, All The Bravest, and the ports of their classic titles all existing. However, this is a completely original adventure developed specifically for smartphones, with a brand-new cast of characters (although it will allow you to team up with heroes from your favorite Final Fantasy games). Adventurers will follow two knights of the kingdom of Grandshelt, and a young girl who suddenly appears before them, as they begin their quest to pursue a highly sought after crystal. Players will make their way through various types of dungeons to search for items, collect gil, uncover hidden paths, and venture new routes. Starting today, players can pre-register and perform certain social media actions to earn crystals towards milestones, which unlock special in-game items. The more people that register, the more rewards will be unlocked, and each registered user will receive all the unlocked items on the game’s release. So, even though Brave Exvius will be free, there are incentives to pre-registering and if you plan on playing you should definitely do so. 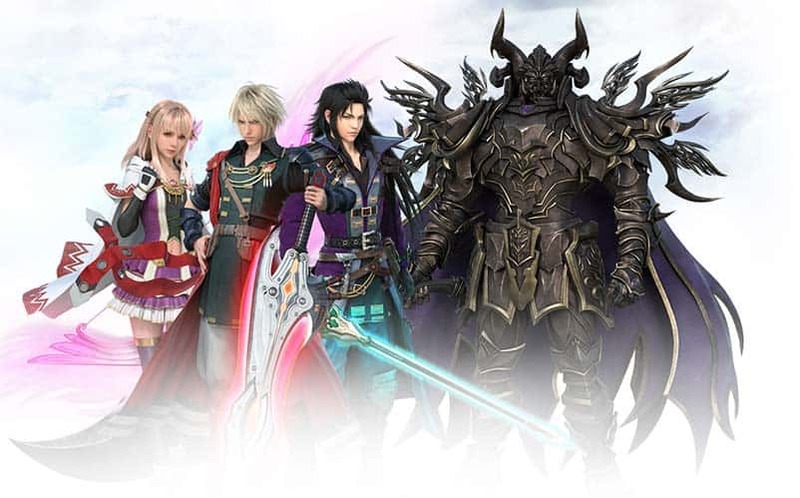 There isn’t a firm Final Fantasy: Brave Exvius release date set just yet, but expect Square Enix to announce one during this year’s E3 (fittingly enough, Square Enix talking about mobile games was one of our many E3 2016 predictions). For more on all-things Final Fantasy related, stay tuned to Nerd Much. You can also follow us on Twitter and give us virtual high fives on Facebook for timely updates.